Here are a few bits and bobs picked up on a recent trip to H&M. I mainly picked up accessories/jewelry and the coveted cropped floral print pants/trousers(only $14.95)here. They're available in solid colors, if you're not into prints. Didn't see any at my location, would have loved it in pink as well. I'll admit, they smell a bit odd from the dyes used, easily taken care of with a quick wash. They have stretch to them and fit true to size. Although, I'd recommend you take a few in the same size to try on as the first pair I tried seemed stretch out (perhaps, from previous try-ons) second pair was the charm. Well, don't just sit there! Go and get yourself a pair. 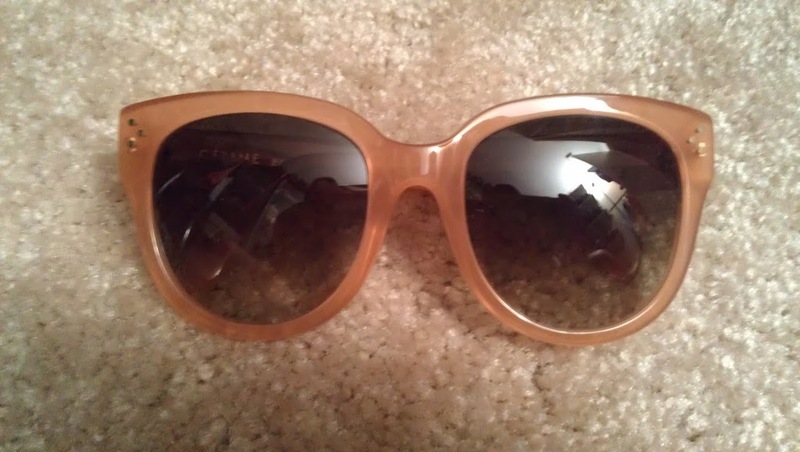 The sunglasses/sunnies remind me of the Celine 'Large Audrey' pair here and here at a fraction of the price. Bracelets/cuffs/rings are self explanatory....had to have them. ;D They I would have been sad if they didn't come home with me. What items/trends will you be adding to your wardrobe?